Earlier, education was more theoretical, but now, students prefer more of practical way of learning. Teachers have to change as per the students' requirements. There wasn't much competition in early times, but the youth of these days are facing a lot of competitions. Earlier, teachers had a motto i.e. being service oriented. But after corporate globalization became a system in India, there is a gradual change from "WE" to "I", which means that everything is self-centred. These days, both teachers and students think of their own profits. Hence education has become a commercial venture. Earlier people didn't have the technological facilities that youth of these days have like Computer and Electronic Media. Education has become easier these days. Information is easily and readily available. But those days' students were dependant on teachers and library. We are using the technology, but the question arises whether the technology is used for the evaluation of an individual potential. We are following the trend of an individual's potential being assessed by correcting a theoretical paper. This kind of evaluation should get reduced and different kinds of technologies should be adopted for evaluation. Off late there is no social orientation. The present education system just provides the basic knowledge. Knowledge must instil higher amount of confidence in the youth which can make them survive in any kind of place and in any kind of situation. In a nut shell, the education should not teach only the literature but it has to teach life as well. Students want quick results and they study only for their examination. Current education system should work on quality education and certain benchmarks are to be set and followed. Our education system is flawed mainly because of the syllabus we follow. Framing of the syllabus is done taking into account the rural areas, where the facilities/resources available to the students are limited. Urban students who have the necessary resources should go beyond the prescribed syllabus to meet their thirst and hunger for knowledge, which will incidentally make them industry ready also. What does today's youth lack due to which they are unable to take the highest benefit from the education system? The biggest problem of the youth is that they lack seriousness. Patience is one thing that has become alien trades for today's youth. They aren't ready to wait. And, of course, there is no hard work. But, one appreciative thing about them is the IQ. Yet, they just understand the basics but understanding the whole concept is required. The youth is lacking in the foundation itself; primary education must be upgraded first. Students must be clear where they are going at a very young age itself. And moreover, the students must be passionate enough to learn more from their teachers. The connectivity between what the education system wants to do and what the students want to get into is totally cut down. The communication level is gradually decreasing between the students and the education system. Youngsters are not planning for future life; they are just planning to get the highest marks in exams. Nowadays, no one asks doubts, and on the other side, lecturers are also not interested in giving extra knowledge to their students. If students ask doubts only then will lecturers get interested in clarifying and come prepared for questions that students might ask them in further classes. Our country does not lack resources but lacks the proper channelization of these resources. Youth has the capacity and the intellect but lacks opportunities, guidance and encouragement. Other factors that hinder students' performance is that they take up a stream not because of their passion towards the subject but largely due to societal and parental pressure. A lot of people say that what we are studying is 95% obsolete, and a lot of times non-applicable in the industry side when we attempt for placements. What do you think that the youth must do to cover up this particular flaw? It is not 95%, it is 100%. There is absolutely no relationship between what is taught and what is seen in the industry. The problem is that there are few people who don't get updated with current issues, and hence, they prescribe the syllabus. Finally, it leads to anarchy and chaos. Employability is important, and stretching that would be useful. The syllabus can be framed by liberalizing the system. The education and industry should go hand-in-hand. To cover up these flaws additional courses are needed. HEI can provide these courses only when funding is provided from parents and government, and even extension of time. Instead of investing on other institutions which charge a huge amount of money, students must learn to dedicate their time in college. UGC must provide funding to colleges to improve upon all these factors. We call it as industrial-academic gap. There should be some bridge between industry and academics at all levels because industry's expectations are different and training of students is totally different. Education is a universal system whereas the sectors are not universal systems. It would be good if the colleges arranged for internships and allowed students to place themselves according to their interests. 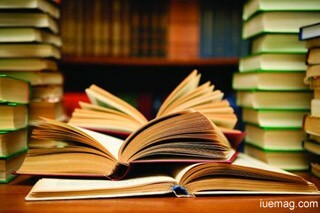 Nowadays, universities are changing syllabus which is helpful to the students and a kind of obstacle too. The teachers are to be prepared for the syllabus. The students are reading only text books. Along with that it's good if they read journals, magazines and articles as well. Nowadays, when we say that a question comes for two marks they study only that much and won't try to go much deeper about the particular topic in textbook. Students should have patience to sit and listen to the lecturers. "BE HONEST" and "BE YOURSELF". If there is no commitment to the goals it's very hard to succeed. Whatever the lecturers say students accept it, and in return, they won't ask any reasons behind that. Students should keep on updating their knowledge. Students should concentrate 95% on studies and 5% on extra-curricular activities. But nowadays, they are concentrating 95% on extra-curricular activities and 5% on studies. They should have sincerity in studying. Be clear in your goals, exploit your teachers to gain practical knowledge of the theoretical subjects. The young minds have unlimited freedom; in the sense that they have access to internet, and hence, a vast expanse of information. However, this should not in any way distract them from the goals that they set for themselves. Be punctual, respect your elders and be patient. It is not important how to speak but it is more important how not to speak. These were there in the past. But now, it has completely vanished. So, let us revisit, let us revise, let there be a renaissance. Any facts, figures or references stated here are made by the author & don't reflect the endorsement of iU at all times unless otherwise drafted by official staff at iU. This article was first published here on 29th September 2014.